The Rider from the Future, Kamen Rider Quiz, must unite with the King of Time to save his father. But what is the hidden power of this new Another Rider? They are Rushing these Riders out. We haven't even seen anything concrete from Shinobi. He looks like a more promising character as compared to Quiz. I hope that in the episode after this one, they bring the focus back on Kagura Rentarou. They won't. The new Riders aren't proper Zi-O Riders, they're just guests, like the Legend Riders. Fun, 'what if?' future riders to contrast the canon past riders. That site has virus and does not work. Could you post the dailymotion link so others can watch it. Shinobi is getting his own online mini series. These riders are only here for KR Woz to get their watches. It's not a mini-series, its a one-off special. 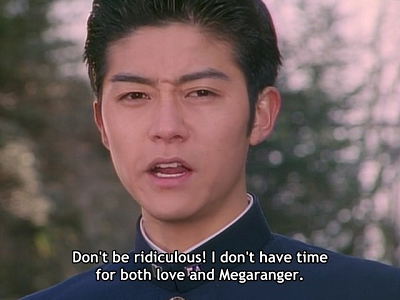 It's not 'Rider Time: Shinobi, Part 1', its 'Rider Time, Part 1: Shinobi'. Part 2 is Ryuki. EDIT: It just now occurred to me I accidentally posted about episode 19 in here. Hopefully if Over-Time takes a bit long for this one too I won't make the mistake of going straight to the pinned thread without paying attention. Last edited by Fish Sandwich; 01-27-2019 at 10:06 AM.. I don’t remember them taking that much for subs before...Did something happen? I don't think it's anything more complicated than them being real people with jobs and obligations that don't actually include subbing Rider shows. They've been a little slower than usual with Zi-O in general, at least so far.